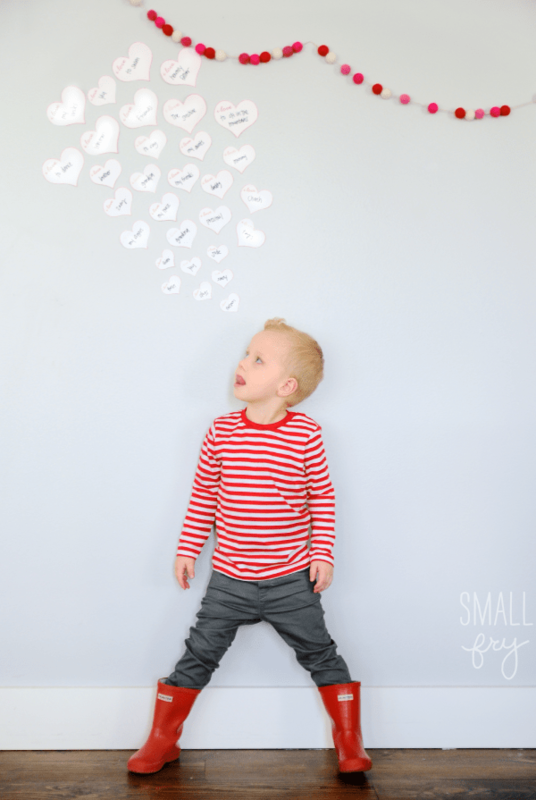 Using the free printable download below, we printed off a few pages of the small, medium, and large hearts. Cut them out, and spend some time with your kiddo talking about things they love. Their answers are so sweet, and sometimes surprising as you saw in yesterday’s film! 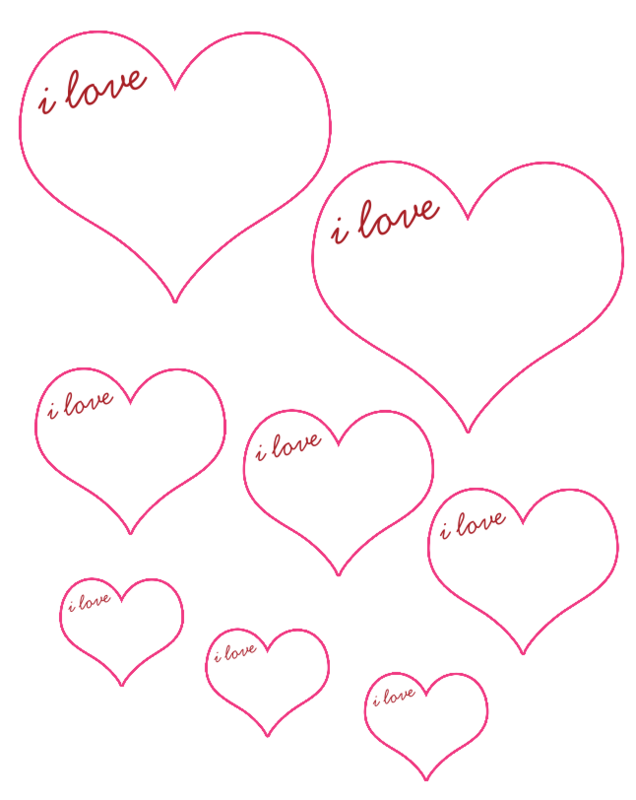 Fill out the hearts, and tape right up to the wall! It will be an awesome little art installation for the month and a good reminder of all the wonderful people and things in our lives. Add a strand of Maypole felt balls and you’re set for decor! Are you making Small Fry projects? We’d love to see! 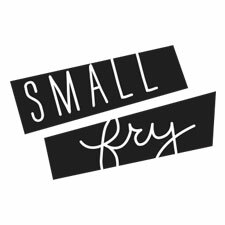 Tag us on Facebook, Twitter, or Instagram (@smallfryblog & #smallfryblog) so we can check it out and feature you! Small Fry Films: Valentine’s Day a wearable valentine + honest co. I love anything that is easy and inexpensive- I like to change up my decor, so spending a lot doesn’t work. That is darling!!!! P.s. I spy Aubry’s felt balls?! I just wanted you to know we loved this idea so much that we featured it on our blog, Domestic Bliss Squared!